Despite its name, this special paper did not have any tiny bubbles in or on it. Some of you may have guessed that this was actually an early name for a business office supply commodity which was in common use during the first half of the last century, carbon paper. However, it must be noted that this early version of carbon paper was not invented for use in offices, nor was it widely used in that way during the Regency. Instead, it had initially been developed as a writing aid for the blind. An author of a Regency romance might find it very useful to enable a blind character to write. Or, maybe a spy? Carbonated paper in the Regency . . . The very first version of carbon paper was invented by an Englishman, a few years before the Regency began. Ralph Wedgwood was a member of the famous family of potters, though there are conflicting accounts regarding how deeply he was involved in the family business. He did invent some important glazing fluxes based on borax, which ensured better glaze coverage and produced much brighter colors. However, he seems to have concentrated most of his efforts on the invention of devices which could be used to copy documents and drawings. That interest may have been partly inspired by the growing popularity of transferware ceramics, since a quick and easy method to make clear copies of transfer prints would have been very valuable to the bottom line at the Wedgwood ceramics manufactory. Regardless of his initial inspiration, at some point in the late eighteenth century, Ralph Wedgwood seems to have taken an interest in developing systems or devices which would enable blind people to write. It is not known how many prototypes he produced, but in October of 1806, Ralph Wedgwood was granted a patent on an apparatus which he called the "Stylograph Writer," or the "noctograph," meaning to write in the dark. His second cousin, Josiah Wedgwood II, who was by then the head of the family firm, lent Ralph £200 to produce and market his latest invention, the Stylograph Writer. Ralph established a small shop to sell his new apparatus in Charing Cross, London. Though it was not a runaway best-seller, the profits for the Stylograph Writer are estimated to have been at least £10,000 between the time it was introduced, in 1807, through the end of 1814. Unfortunately, Ralph Wedgwood was a better inventor than he was a businessman, and he found it hard to manage his money, even with the income from his invention. A few of his surviving letters from the Regency record his requests to some of his extended family members for money to help pay his bills. In 1818, his eldest son, Ralph Wedgwood, Jr., took over the management of his father’s firm, with new premises in London, at No. 4 Rathbone Place, in Oxford Street. Ralph, Senior, was then free to spend time improving his invention, while his son handled manufacturing and sales, as well as managing the financial aspects of the business. Sales of the new and improved Manifold Stylographic Writer helped to raise and then sustain the firm’s income. Soon, the business generated enough income to support the families of both Ralph Wedgwoods, Junior and Senior. The key feature of the Stylograph Writer was the special paper which Ralph Wedgwood had developed for use with it. He usually called it carbonic, or carbonated paper, because it was impregnated with a carbon-based ink. Wedgwood also often referred to this special paper as sponge paper. That was because this unique paper was made by soaking a fairly thin, but sturdy and absorbent sheet of paper in printer’s ink. Once the carbonated paper had absorbed as much ink as possible, it was set aside on a blotter to dry. There was one significant disadvantage to this special carbonic paper. It, like the printer’s ink in which it was soaked, had a rather unpleasant odor. Even after the carbonated paper was allowed to dry, it still retained a strong aroma of printer’s ink, which made it rather smelly to use, or even to store in large quantities. However, it was reported that good ventilation helped to disperse the worst of the odor while the paper was in use. Fortunately, many letters or other documents could be produced from a single sheet of carbonated paper, making it fairly economical to use. The original Stylograph Writer consisted of a sturdy wooden board, upon which would be placed a sandwich of three sheets of paper. The lowest layer was regular writing paper, topped with Wedgwood’s carbonated paper, then a sheet of translucent paper. A set of guide wires were then laid horizontally over the paper, partly to hold the paper in place, and, more importantly, to help a blind writer to write in relatively straight lines. The writing implement for the Stylograph Writer was a metal, glass, agate, or bone stylus with a smooth, slightly blunt point. It was not possible to use a quill pen with this apparatus, because the fine nib of such a delicate writing instrument could not exert enough pressure to make legible copies through three layers of paper. With the Stylograph Writer, the "original" document was the one at the bottom of the three-layer stack. Because Wedgwood’s carbonated paper was double-sided, the writing stylus would cause the same lines of hand-writing, or even a drawing, to appear on the top of the regular writing paper on the bottom of the stack, and on the back of the translucent paper on the top of the stack. The letter on the regular paper would then be sent on to its intended recipient, while the same letter on the translucent paper, which, though written on the back side, could be easily read through the paper and was kept as the copy. It is likely that the translucent paper used in the Stylograph Writer during the Regency was silver paper. In addition to being nearly transparent, silver paper was also smooth and sturdy, making it ideal for this purpose. Initially, the Stylograph Writer was sold primarily as a writing apparatus for the blind. But it was not long before other uses were found for it. A number of sighted people used the device as a noctograph, enabling them to write in the dark, and thus save money on candles. However, even more people realized that this device would free them from the inconvenience of having to use an ink well. Thus, they were able to write anywhere they pleased, indoors or out, and have a copy of their documents. The pencil had done much the same thing, beginning in the eighteenth century. But there were some drawbacks to the use of a pencil. The marks could be erased or altered, and copies of pencil-written documents would have to be made separately. Documents produced using the Stylograph Writer were fairly permanent, and identical copies were made automatically, as part of the process. In 1814, when sales began to flag, Ralph Wedgwood, Sr. did try to get the Royal Navy to adopt his Stylograph Writer. By that time, Napoleon had been sent into exile on Elba and the Admiralty officials felt that, since the war was over, there was no need to upgrade their existing system of keeping logs and other records on board their ships. Ralph Wedgwood, Sr. did see the potential value of his carbonated paper as a means by which copies of business documents could be easily made. And a few firms did experiment with using carbonated paper to make copies of their documents. However, in addition to the issue of the smell, the making of copies with this paper required the writer to press quite firmly in order to produce the document and the copy. If care was not taken to press firmly and evenly, the "original" document, which was at the bottom of the three-layer paper stack, might not be completely legible. It seems there were ongoing complaints from the office staff at these businesses about both disadvantages of carbonated paper. Many business owners also feared there was a risk of forgery when using carbonated paper, so they preferred that all of their documents be hand-written using ink and quill. Since the majority of Regency office clerks worked for fairly low pay, most businesses found it was actually less expensive and more convenient to simply employ a few more clerks to make fair copies of their documents from the hand-written originals. Though carbonated paper had not caught on with most businesses, Ralph Wedgwood, Sr. was aware that there were many sighted people who wanted a method by which they could make copies of documents at the same time they wrote them. When his son took over the management of the family firm, in 1818, Ralph, Sr. had time to explore better ways to meet that need. His new development was the Manifold Stylographic Writer. Unlike the original Stylograph Writer, this new apparatus was intended for use by anyone, not just the blind. It consisted of a loosely bound "book" of inter-leaved sheets of plain and translucent paper; a few sheets of carbonated paper; a smooth, thin metal sheet of about the same size as the paper, and a firm stylus. The metal sheet was slipped into the book under a plain sheet of paper, the carbonated paper was slipped in between the plain and translucent paper and the letter was written out with the stylus. The plain paper sheet original could be removed to post to the recipient, while the translucent sheet remained in the book as the copy. The more upscale and elegant versions of the Manifold Stylographic Writer had a fine case, often of leather, with silk or marbled paper linings. These cases typically had various fittings which held the bound paper book, the carbonated paper, the metal sheet, and the stylus. Some cases included more than one stylus, as well as other useful accoutrements, such as a bone folder or a small paper knife. The best cases might also include sealing wax or wafers, a pencil and rubber eraser, and even a pen-knife and quill, along with a small bottle of ink, for making small corrections or addressing letters. Less costly cases generally included only the paper book, the carbonated paper, the metal sheet and a single stylus. Extant advertizements show that the Manifold Stylographic Writer was available for between one to four guineas at the shop in Rathbone Place. Many sighted people used carbonated paper, and/or the Manifold Stylographic Writer for their personal correspondence during the Regency. Once of those people was the poet, Percy Bysshe Shelley. A carbon copy of a letter written by him, to Ralph Wedgwood, Sr., is in the collection of the Bodleian Library at Oxford University. This unique writing apparatus would have been useful to those who had to make records or drawings outdoors, particularly without a stable desk or table top on which to place an open inkstand. Writing with a stylus would also eliminate the need to constantly re-cut the nib of a quill pen as it wore down during extended periods of writing. There was the added advantage that an exact copy would be made of the document as it was written or drawn. The Stylograph Writer, with its horizontal guide wires, made it possible for sighted people to write in very low light, or even in the dark. Dear Regency Authors, might a few sheets of carbonated paper, a Stylograph Writer or a Manifold Stylographic Writer find a place in an upcoming story of romance? Might you bestow a Stylograph Writer on a blind character, so they are able to write letters, or perhaps keep a journal? Will another character belittle the blind character’s attempt to write, or complain about the smell of the carbonated paper? Mayhap the hero, a spy during the Napoleonic Wars, uses a Stylograph Writer to make notes and drawings while engaged in night-time surveillance of enemy installations or troop placements. Will his secret hiding place be in danger of exposure to a passing guard, due to the smell of the carbonated paper he is using? Could it be that the heroine, who enjoys sketching landscape scenes, is keen to get a Manifold Stylographic Writer for use when sketching outdoors? Might she meet the hero when she is at the shop at No. 4 Rathbone Place, looking at the wares on offer there? Are there other ways in which carbonated paper, or one of Ralph Wedgwood’s writing devices might be worked into the plot of a Regency romance? 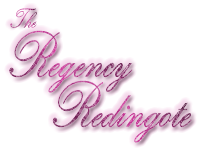 This entry was posted in Penmanship and tagged Art, Regency, Regency Bicentennial, Writing. Bookmark the permalink. I rather like the smell of printer’s ink myself, but then it has happy associations for me. I can see the pupils of Swanley Court deciding to get up a school newspaper and using carbonated copies for simple illustrations. And maybe a copy sent to an old girl or friend or relative falls into the hands of a publisher who wants to employ a talented artist who can simplify lines so well, and ends up romancing her instead of just employing her. And maybe I should think about bringing it in for the heroine of None So Blind, and writing a sequel to it! Carbon copies were thought to be very convenient in those days. And they were, pre-computer/printer, but they could be rather messy. Though, as a kid, I used to love playing with used sheets of carbon paper my dad brought home from the office, to make duplicates of drawings, etc. It seemed like magic to me. I cannot answer your questions about Little House stories, since I have never read them. Not my cup of tea. But I did learn that later in the nineteenth century, some of Ralph Wedgwood’s products were exported to the US. So, it is not beyond the realm of possibility that they inspired similar devices for the blind here. Like you, I like the smell of modern-day printers ink, too. However, the Regency-era formula was not the same as that we knew, so it was probably more stinky. Your plot bunnies all have potential. If any of them make it into a new book, please do post links to them here. Thank you for introducing me to the Manifold Stylographic Writer, it sounds as if it would be a fascinating bit of early technology to try and reconstruct.